It’s that time of the year again: football season. With every year comes a clean slate for each team. Rosters are changed, stars have yet to emerge, and the underdog team is nowhere close to being discovered. With the changes the football season brings, have you ever considered your dietary habits for the season? Similar to the new football season ahead, do you plan to change your eating or drinking habits for football Sunday? You really can keep nutrition and wellness in mind while enjoying a game party. Here are some of the worst snacks to eat while watching football, followed by suggested alternatives. Heavy or dark beer: Heavy or dark beer is loaded with calories and often has more alcohol per volume than a lighter beer. Consuming a six-pack of this type of beer in an afternoon can easily equal half of your daily caloric intake allowance and set back your hard work over the previous few months. Fattening ribs: Ribs are often loaded with fat and sodium, two culprits of poor heart health. Ribs tend to have flavorful dipping sauces and marinades that are primarily sodium infused. One serving of ribs can quickly tack on a load of sodium, which is known to cause water retention in the body. 7-Layer Bean Dip: Tortilla chips, guacamole, shredded cheese, sour cream, and refried beans are all loaded with calories. If this is combined with ribs and some dark beer, it’s a diet’s worst nightmare. Original potato or tortilla chips: A one-ounce serving of original-style potato chips contains about one fifth of your daily fat intake. There is even more in tortilla chips. When combined with bean dip and fatty ribs, potato chips are the straw that broke the camel’s back. Nachos: Nachos often include ground beef, refried beans, sour cream, guacamole, cheese spread or whole cheese, and olives. While this may sound appetizing to some, it can quickly add up to a weight-gaining mess. If you are eating out at a local bar for the Sunday game, avoid nachos as an “appetizer” because based on the total calories in one meal, it could be considered two meals. Light beer or wine in moderation: Light beer contains a fraction of the calories in dark brew. In addition, wine is full of flavonoids and contains fewer calories than a dark beer. Remember to exercise moderation when having any alcohol regardless of the “strength” of the source. Grilled salmon: Grilling does not always need to be bad for you. In fact, grilling can be a much better option than baking. Exchange ribs for a nice piece of salmon. Salmon is full of good fat and it can fill you up quickly. Fat-free onion or spinach dip: Homemade dip that includes fat-free sour cream and a dip mix can save loads of calories from entering the body. 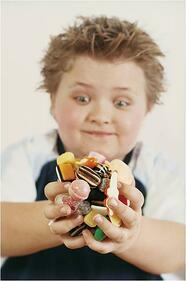 Try out your favorite flavor and mix it up frequently. Baked chips or sweet potato chips: If chips are going to be consumed, buy ones that are baked. Baked chips have less fat and less sodium than fried. If you are more inclined toward the healthiest option, try fat-free and low-sodium chips. Assorted vegetable tray: An assorted vegetable tray is a great snack for the game. Veggies can be dipped or used as a side dish. Swap out the nachos for veggies and try this as your appetizer instead. 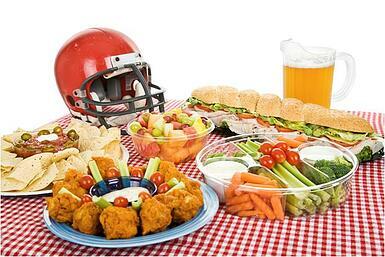 For more tips for a fumble free football party, check out this article. For more help making healthy eating choices, find out more about NIFS Personal Nutrition Consulting. We are always looking for ways to keep workouts fresh and members engaged. Holidays are a great time to play off of the holiday theme and create unique workouts. Although some may think of them as cheesy, once they get into the workout they realize we haven’t forgotten what they came for – a challenge! 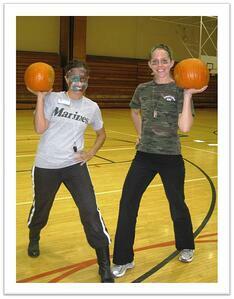 Each year around Halloween we plan a pumpkin workout for our corporate fitness members. Why pumpkins? 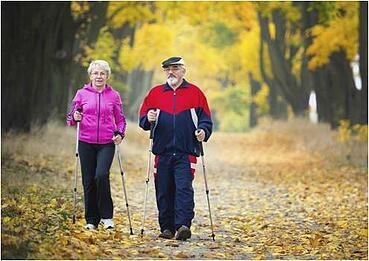 They are everywhere this time of year; why not include them in a workout? The pumpkins act as weights and props. They are less expensive than most gym equipment and come in a variety of shapes and sizes, allowing for a variety of fitness levels to participate. 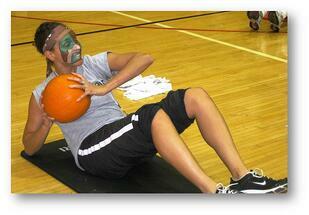 Around this time each year we start brainstorming how/when we will do our annual pumpkin workout. Once a date and time are picked, we send out a registration link to our members as a “special invitation” to join us. The link also helps us keep track of how many people we will have participating, so we know how many pumpkins to purchase. Through word of mouth, a few flyers, and emails, we’ll typically have a group of 20-30 people! Shape - All of the pumpkins will have a different shape (some round, some more oval). Take this into consideration when incorporating certain exercises. There are endless exercises that can be performed with the pumpkin. Start by thinking of go-to exercises that you would incorporate into one of your group fitness classes (pushups, squats, lunges, etc.). Now, think about how a “weight” or pumpkin can be added. For example, hold the pumpkin at your chest while performing a squat, put one hand on the pumpkin for an added challenge during a set of pushups, or push the pumpkin overhead after performing a lunge. Structure your workout so every major muscle group is targeted by the end. Also, throw in some cardio bursts, such as running with the pumpkin, bear crawling while rolling the pumpkin along at your side, or performing mountain climbers with your hands grasping the pumpkin. Add some core exercises as well (planks with a pumpkin roll, Russian twists, sit-up with a press, single leg v-ups). Think about the amount of space that you have and plan accordingly. So, now you’ve secured participants and planned the exercises; don’t forget about one of the most important parts – pumpkin preparation! In the past, we’ve purchased our pumpkins a few different ways. A visit to the local supermarket allowed us to hand-pick the pumpkins sizes, but you’ll need some muscle power and a large car. We’ve also gotten our pumpkins from a distributor – this proved to require less hassle as the pumpkins were delivered right to our door, but also resulted in less variety in sizes. Depending on the condition of your pumpkins, they may need a quick cleaning to remove dirt and in most cases will need their stems cut so that no sharp edges remain. A basic saw or knife works well for this – just don’t wait until the last minute to make sure your pumpkins are ready to go! We advertise that pumpkin selection for the participants is first come, first served, but as mentioned above, we have extra medicine balls on hand if someone needs to switch out. 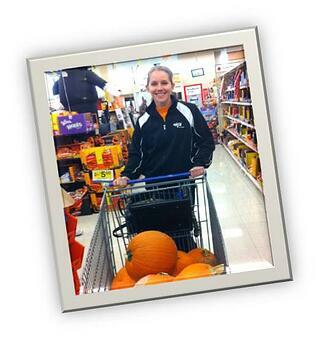 Now, you’re ready to give your participants a SPOOK-tacular experience with a souvenir pumpkin to remember it by! Looking for other ways to make fitness festive this October? 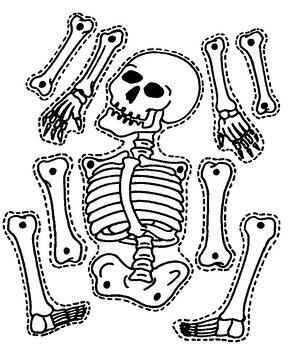 Check out NIFS Fitness Management's Best Practice: SKELETONE!